We Speak English, On Parle Français, Falamos Português, Hablamos Español. 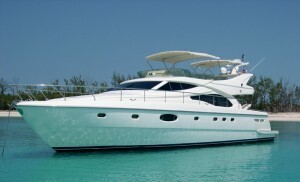 Want to visit the Bahamas by Boat? Miami Boat Rental will make this happen! Some facts about the Bahamas! The Bahamas is a country consisting of more than 700 islands, cays, and islets in the Atlantic Ocean, officially the Commonwealth of the Bahamas, ; southeast of the U.S. state of Florida and east of the Florida Keys, north of Cuba and Hispaniola (the Dominican Republic and Haiti); northwest of the Turks and Caicos Islands; . Its capital is Nassau on the island of New Providence. As stated in the mandate/manifesto of the Royal Bahamas Defence Force, the Bahamas territory encompasses 180,000 square miles of ocean space. The designation of “Bahamas” can refer to either the country or the larger island chain that it shares with the Turks and Caicos Islands.